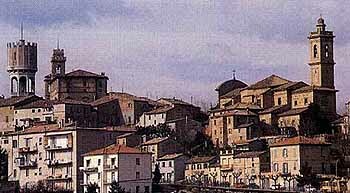 An old pre-Roman town which grew up on the banks of the River Musone. The first to settle there were the Senones Gauls, driven off in 295 B.C. Today it is a flourishing clothing trade centre. Main sights: the Museum of the Biroccio, the Beltrami Collection, the church of San Francesco and the church of S. Maria degli Angeli.